Parent Question: Our beautiful baby daughter is five days old, and we are exhilarated, but exhausted. She seems to be asleep all day long (unless she is eating), and then as soon as we want to go to bed, she's awake - ALL NIGHT LONG! Do you have anything you can suggest? When it comes to newborn babies, particularly in the first 6 weeks as new parents you need to concentrate mostly on FOOD and SLEEP. The fact that she is awake all night at such an early age suggests something is not right. Firstly is she getting enough to eat – FOOD - milk? This depends on whether you are breast-feeding or bottle-feeding. At this early age the vast majority of mums are breastfeeding. By this stage your milk will have come in and it is basically feeding on demand. This can be in intervals of 2, 3, 4 or rarely 5 hours. If you are feeding less than 2 hours or even regularly at 2 hours during the day then I would be looking at milk supply. If you can relate to feeding every 2 hours or less then, you should see a lactation consultant as soon as you can about building your milk supply and perhaps using a substitute bottle until you work through this problem. Another clue is that when she falls asleep, she should be sleeping at least 40 minutes. If she is waking at 20 minutes then this to me means that she is hungry. Offer more milk and see what happens. If this solves the problem then you again need to work on building your milk supply. The next question to ask yourself, is she getting enough SLEEP. 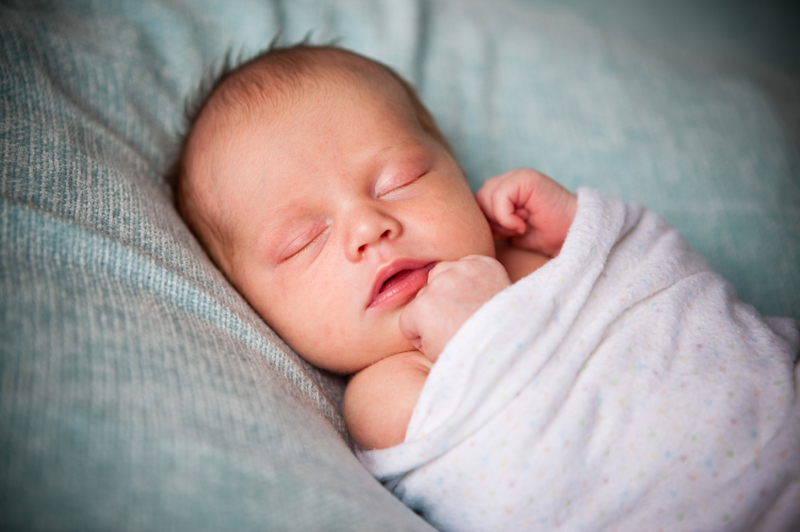 A newborn baby needs 18 – 20 hours sleep a day and considering there is only 24 hours in a day this is a lot! Most parents are surprised by this fact. So in reality once she wakes up crying she is ready for a feed and by the time you feed her, she will have fallen asleep on the breast. At this point she is in her sleep phase. Sleep should be deep and restful and last commonly 2 hours to 4 hours just depending on her preference and hunger. If she wakes at 20 minutes regularly, I would again be strongly urging you to offer more milk, breast or bottle as she should sleep solidly once she has a full tummy for at least 2 hours. If she is not, then you are back to the FOOD question. If she is up longer than 40- 50 minutes from when she wakes crying out to falling asleep feeding, then it is too long for her to be up. This certainly leads to overtired babies, and when overtired, she will have difficulty getting to sleep and cry for hours at a time. If your problem is persisting, then for your daughters benefit and for yours as parents I urge you to seeking help from a professional who has knowledge in this area, as sorting this out now will make the difference to your whole experience of being a parent, and for your daughters development.